“Getting to know you" is a new spotlight feature which will introduce you to some of the great people behind Orbotech solutions. We are delighted to introduce you to Eran Lazar, VP Product for AOI & AOS who talks a little about his journey with Orbotech, the development of the AOS and his predictions for the future. What makes AOS so special? Our journey to develop automated optical shaping or AOS sums up Orbotech. Orbotech is committed to investing heavily in technologies, specifically in technologies that enable the industry, even when the return on investment (ROI) is not immediate. Over the past 12 or 13 years, we invested in a new shaping and 3D shaping technology because we foresaw how the PCB industry was developing. We understood that at some point, the industry would make a shift to dense PCBs with line/space which was too fine for the human eye. In order to maintain yields, customers would be forced to move from a simple manual repair solution to an automated shaping solution capable of doing both ablation and adding copper, and guaranteeing that the shape of the lines would be true to the original CAM design. In 2016, that shift increased as SLP/mSAP became a standard for advanced smartphone production. As the line/space of advanced PCBs became denser and moved from 50µm to 30µm, so the industry adopted AOS as the only feasible way to improve yields. 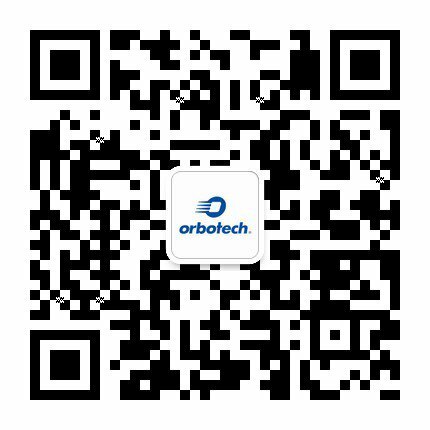 There is no other product that can do what Orbotech’s AOS, and in particular, the Precise ™ 800, can do. Orbotech’s AOS is built on unique technologies which were developed over more than a decade. This has resulted in an advanced and innovative solution - both in terms of quality and performance. Our customers can achieve the yields they need despite the challenging conditions. Fast forward to today – nearly 2 years post-launch – and the Precise 800 and the Ultra Perfix 120S are a critical part of the production flow. Due to its direct and significant effect on yield, it has also become part of the R&D process of new products. What qualifications has Precise received? The Precise has been qualified by our customers and also by some of the main end customers – the electronics designers themselves. It has also successfully passed the stringent qualification processes of independent associations, including the IPC, which is particularly significant. Orbotech’s Precise is the only product to have successfully undergone such demanding testing. We are committed to working with the industry and to ensuring that our solutions continue to lead the way and provide our customers with the best performance possible. What’s your prediction for the future? The industry is moving towards even finer and denser lines, with more data and more functionality in the same or even smaller spaces. Today, it is clearer than ever that over the next few years manual repair will disappear in high end segments, such as advanced HDI, automotive, flex, IC substrates yielding laminate penetration as low as 1.5µm. AOS, will play a vital role and enable the yields necessary for mass production. To put it simply, without AOS, manufacturing will simply not be cost-efficient or feasible. AOS will become a true mass-production tool in all premium segments. AOS will become part of the manufacturing process even in more advanced applications such as advanced packaging and embedded die applications which have an embedded chip. Those applications are complex and far more costly. As the chip comes first and the functionality is designed around it, the ROI on repair for them is far greater. The chip can cost above $10, so scrapping the units in mid-production process has a major impact on cost. This is a significant factor in customers’ decisions to include AOS as a production tool in the current R&D process, and not to wait. By taking AOS into account at this stage and by relying on it to boost yields, mass production is achievable. I believe that within 2-4 years, the AOS market will become far more aggressive with the shift to higher line/space density, and the average number of AOS solutions per customer will grow dramatically. What is one of the main challenges you’ve faced recently? One of the main challenges, and certainly one of the most significant professional challenges that I have faced, is how to reinvent a product in a mature and stable market like AOI, and provide customers with real added value. In 2017, we launched the Ultra Dimension which had a real effect on the market and our customers’ attitude towards it, changed the process in the AOI room and dramatically reduced the Total Cost of Ownership (TCO) for our customers. We see today the success of the Ultra Dimension solution which is already installed and working in mass production in multiple sites. We have sold tens of Ultra Dimensions in less than half a year and the interest from customers continues to grow. The achievement is even stronger as we introduce the AOI room concept that enables a direct connection between AOI and AOS, and is industry 4.0 compliant.